I fell in love with this craft because it truly turned into a multifaceted time waster. What started as a simple "let's paint" project, turned into an hour long processes of "let's make a frame for my art". I love when Scarlett uses her imagination and creativity without any prompting from me. This entire project was Scarlett's idea from start to finish. I was a pretty proud crafty mama hen. 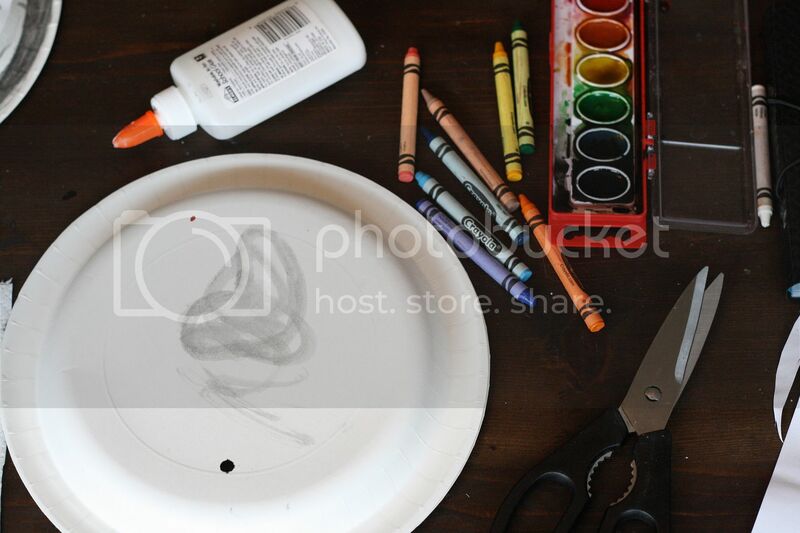 Have your little draw/paint/glue/create a work of art on a blank piece paper. 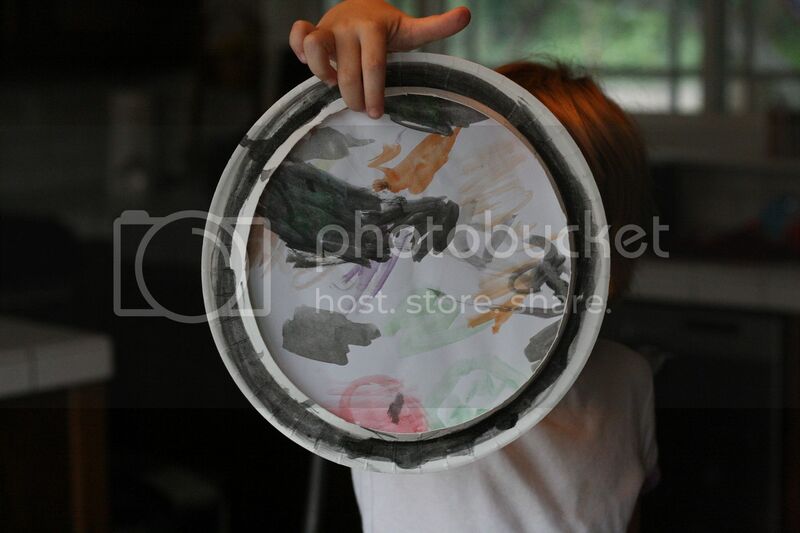 While they are creating their masterpiece, cut out the middle of a paper plate. 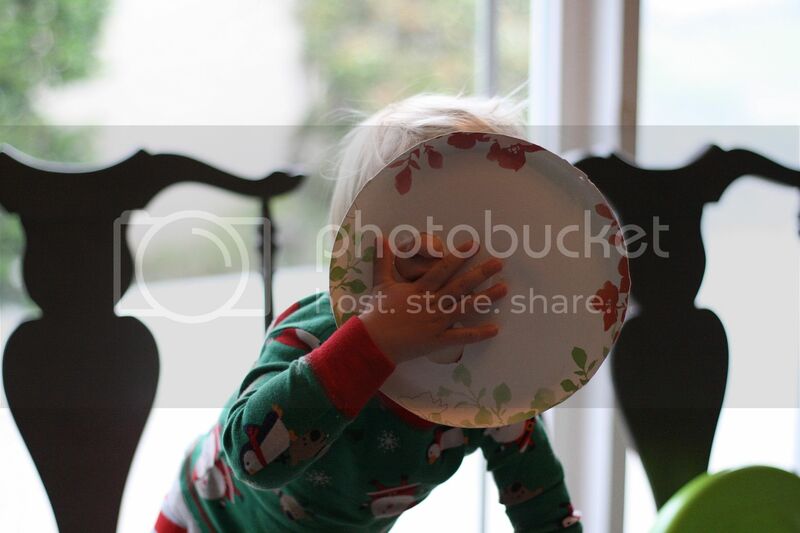 Once they are done with their first creation, pass them the outer rim of the paper plate (this will be our frame) and let decorate their frame. 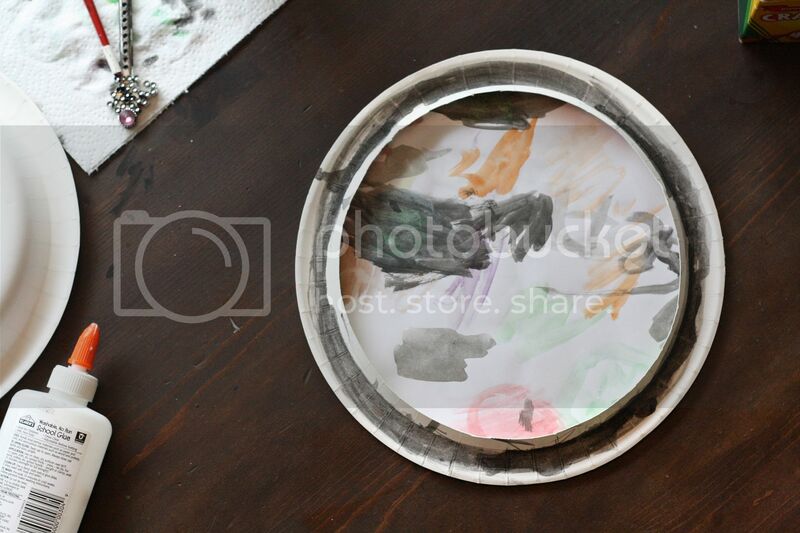 When they are finished with the frame, use it as a template to cut your child's piece of art into a circle that we will glue onto the final frame. 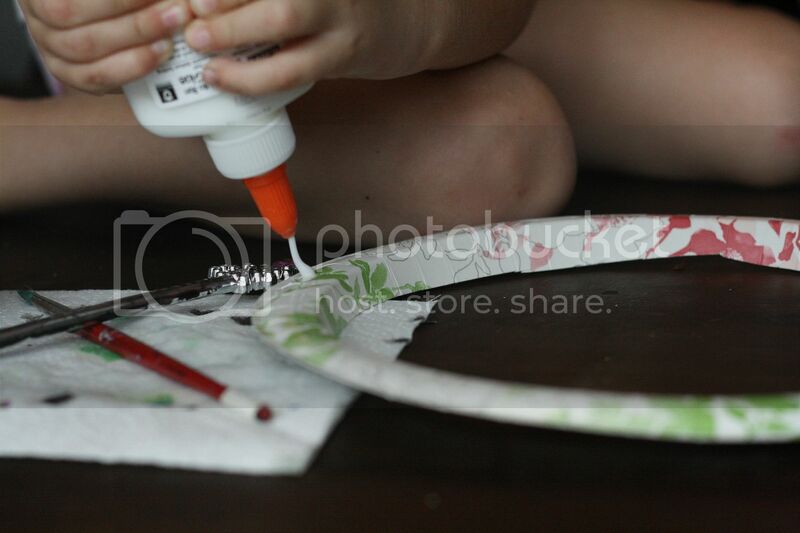 Using glue, place a couple of dots along the back side of the frame, center your art facing out and enjoy! 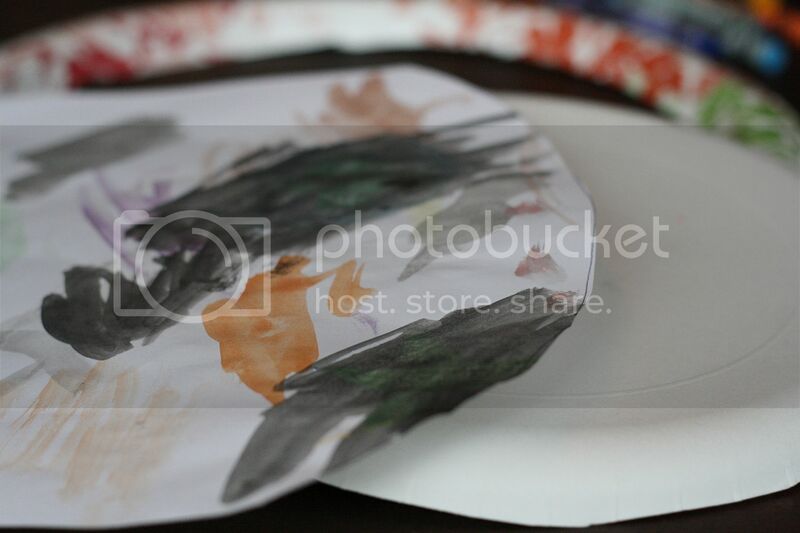 Let it dry, punch a hole at the top, add a piece of ribbon or string and hang for the household to enjoy. And, if this craft didn't waste enough of your morning...you can make a mask out of the center, wrap a blanket around your shoulders and instant superhero. Really, what I am trying to say, is have fun, experiment with imagination and household items. We love to find ways to use what we have and make them into something new. Enjoy! 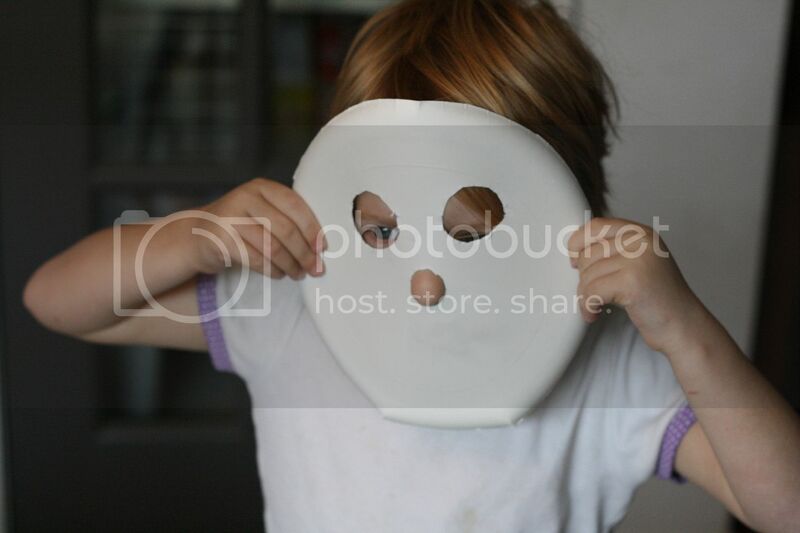 I have also posted this craft on a new blog Hello Haven. This project will now host my future exploration in craft and food fun. 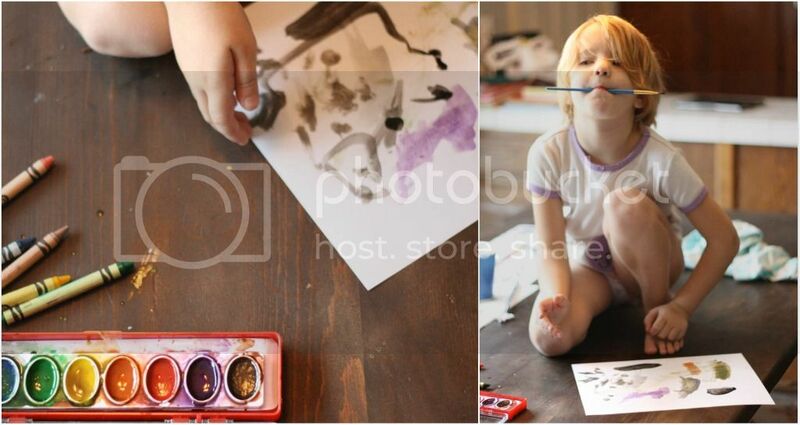 I have joined two great friends and fellow moms in this endeavor and we hope to use this new site as a way to inspire those around us to see the beauty in every day. Hope you will join us over there too!